Frese Modula Compact | Pak Plant Ltd.
Frese MODULA Compact is a versatile valve system that combines the Frese range of pressure independent control valves with isolation, flushing, draining and measurement components within a prefabricated, tested and ready to install terminal connection assembly. The patented design has an integrated metering station for accurate flow verification. 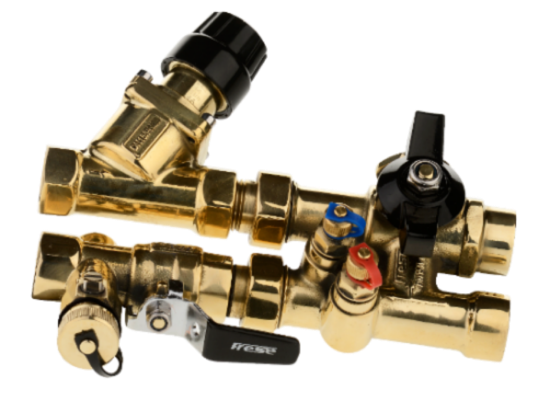 Frese MODULA Compact integrates Frese OPTIMA Compact (Pressure Independent Control Valve – PICV) with isolation valves and P/T plugs.